GSEB HSC Hall Ticket 2019: Gujarat Secondary Education Board is going to organize the 12th Class/ HSC Examinations in the month of March/April 2019. All the students presently undergoing the class 11th and class 12th in the state of Gujarat can get ready to attend the academic examinations 2018 -19. More than 8 lakh students pursuing the Intermediate/HSC/12th class in the state of Gujarat. All the students can prepare well for the end examinations to score well. All the students are hereby informed to download GSEB HSC Admit card 2019 before going to the examinations. The admit cards will be accessible to download before 10 days of the examinations (tentatively). GSEB website will be releasing the admit cards on its official portal, gseb.org. All the students pursuing HSC education in various government/private colleges of Gujarat can check the updates from the GSEB website. 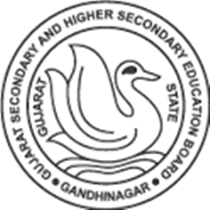 The Gujarat Secondary and Higher Secondary Education Board or GSEB is the state level education board, which was formed under ‘The Gujarat Secondary Education Act 1972’. The board provides affiliations to many governments and private schools in the state of Gujarat. The GSEB is the state level education board that monitors the SSC/10th Class and HSC/intermediate education in the state. The board annually monitors the syllabus and examination patterns and various other associated aspects of the education curriculum in the state. The GSEB conducts the academic examinations in February/March months for all the students and releases the results in April/May months. Yearly, lakhs of students from Gujarat gain the certification from GSEB Board. The students presently undergoing the education under this board can get ready for the academic exams 2018 -19. Students can download GSEB 12th/HSC admit cards from the official portal, gseb.org. Tentatively, the admit cards will be accessible to download from 10 days before the exams. Hence students who are preparing for the examinations can stay checking the GSEB website regularly for the latest announcements from the board. Hall ticket/Call letter/Admit card is the most important document that needs to be carried to the examination. All the students must carry it every day for the examinations. After verifying the admit card of the student, the invigilators will allow them to proceed with the examination. The admit card will be released for HSC 1st year and 2nd year for science, arts, and maths streams at a time. Hence students undergoing various streams and years can download the hall tickets by visiting the official portal, gseb.org. Go through the admit cards clearly after downloading. If any printing mistakes appear in name, sir name, date of birth or any other field, students can complain to the corresponding colleges in which they are studying. The college authorities will take the necessary steps for correction of the misprinted information. Students can follow the process given below to download the admit cards. On the homepage, ‘HSC Hall ticket 2019’ link will be activated when the hall ticket is released by the authority. Click on it and enter the required details such as name, register number etc. Check all the details clearly once.